Equipped with melt temperature indicator & melt Pressure Transducer. Whole System can support high line speed. PLC based heating control system with touch screening interface. Inbuilt micro water chiller for insertion rod. 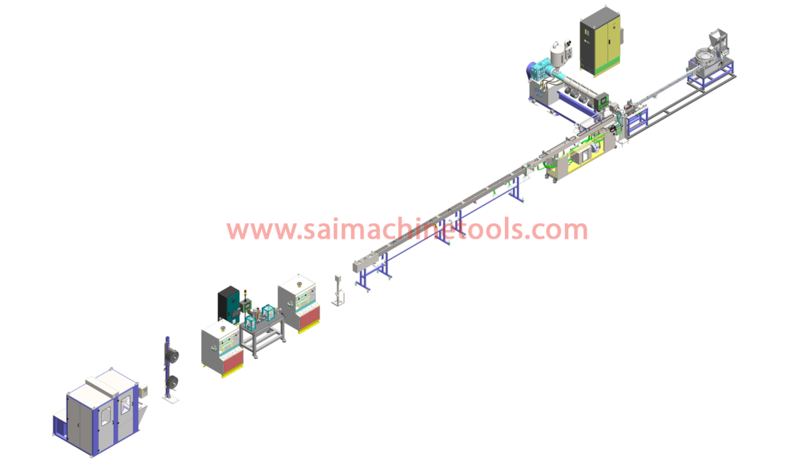 Servo Driven Perforation unit for accurate drilling with touch screen interface. Max Line Speed:120 Meters/Min Two No.